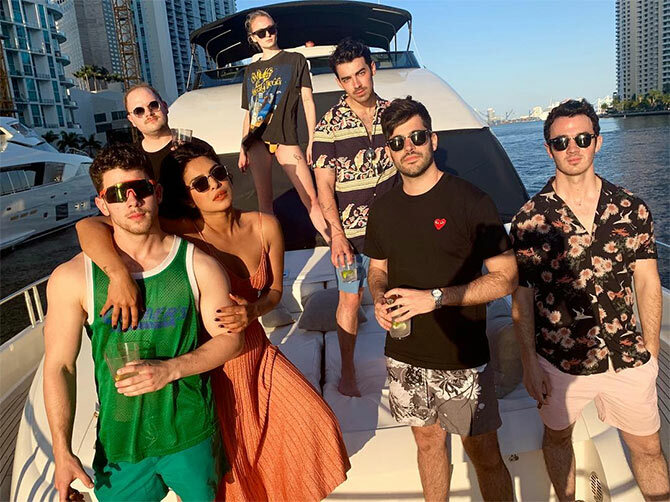 Priyanka Chopra took the day off from her many commitments to spend time with husband Nick Jonas, Sophie Turner, Joe Jonas, Kevin Jonas, Mike Deleasa and Chase Foster in Miami. The Jonas brothers, who recently reunited with their comeback single Sucker, danced to that ditty on a boat, followed by boogeying to Mera Wala Dance from Ranveer Singh's Simmba. 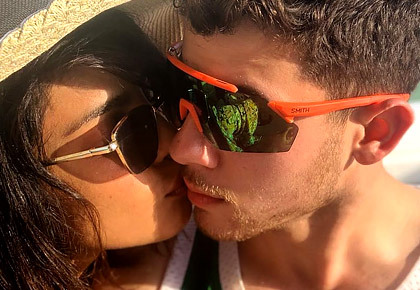 Priyanka Chopra and Nick Jonas get cosy on the beach. 'Making hay while the sun shines..' Priyanka says. Priyanka with Game of Thrones star Sophie Turner, who is engaged to Joe Jonas. Sophie has reportedly told Joe how Game of Thrones ends. Do you think she has told Priyanka too? Nick takes a selfie with Priyanka, Sophie and Joe Jonas. 'Best day off ever!!! 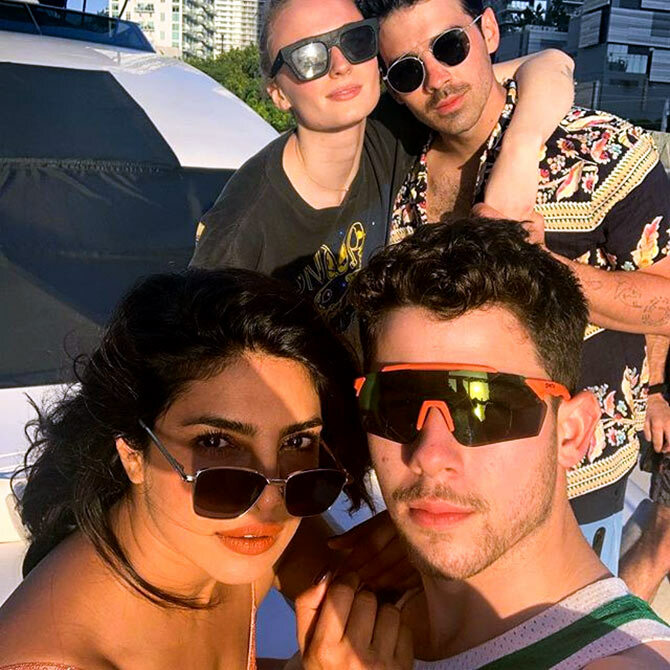 @nickjonas @joejonas @sophiet #jsisters' Priyanka declares. 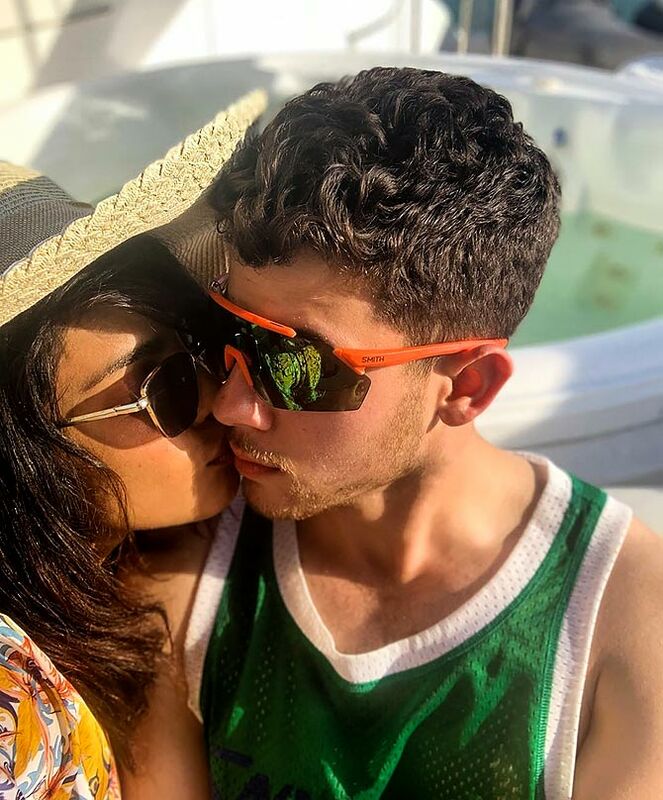 Nick told the told Huffington Post that Priyanka and he are navigating through their newly married life and trying to be a constant support for each other. Nick said he is trying his best to be a "good partner". "Well, I think that we both obviously look out for each other in every way that we can. And I think as we're continuing to navigate married life together, we're figuring out exactly what and how we can be the best support for each other," the singer said. "And so far, it's been amazing and having that partner, that life partner, is just an incredible thing and makes everything way better." "So, I'm just hopeful that I can continue to be a good partner to her and whether that's emotional or physical health, I want to be that teammate in everything," the former Disney star added.